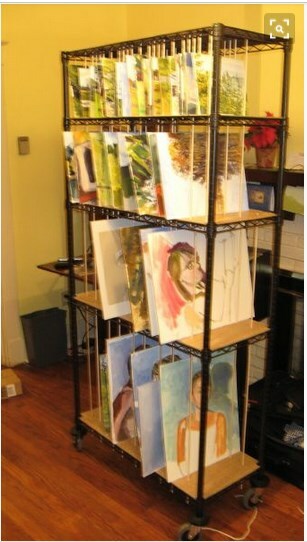 Art Storage Rack. An ingenious artist fitted pegboard and wooden dowels into his rolling shelf unit for drying and storing his work. Each piece is visible, accessible and protected. What a great alternative to stacking, leaning or miles of bubble wrapping.